When Jose Verduga was hit by a huge piece of plywood that fell off a Manhattan skyscraper in 2003, he knew right away his physical recovery would be hard. What he did not know was that his psychological recovery would be even more excruciating: sleeplessness, sudden bouts of anger and extreme fear whenever he walks near a construction site. "It's in the brain, the problem he has," said Verduga's son Christian. "He can't control it." Verduga has been diagnosed with something most people associate with soldiers injured on a battlefield, not civilians injured on city streets: post-traumatic stress disorder. But a growing body of research shows that civilians who suffer traumatic injuries report symptoms of PTSD at rates similar to veterans of war, yet most are never screened or treated. ProPublica, a nonprofit partner of NBC 4 New York, surveyed trauma centers in 21 of the nation's most violent cities. It found only one trauma center -- in New Orleans -- routinely screens patients for PTSD, even after gunshot wounds. Newark, N.J., for example, has the nation’s seventh-highest murder rate. Yet the New Jersey Trauma Center at University Hospital in downtown Newark does not systematically screen trauma patients for PTSD. 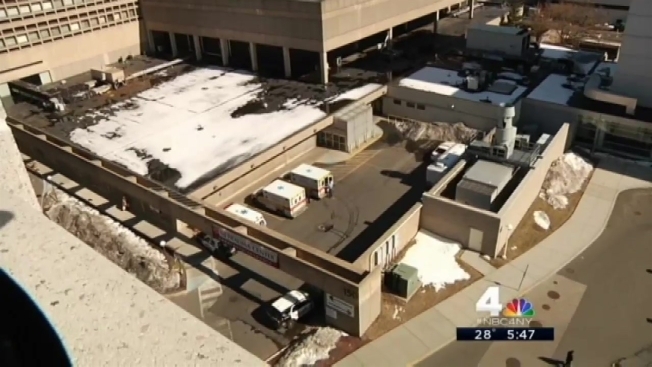 Dr. Peter Yonclas, director of Trauma Rehabilitation at Rutgers New Jersey Medical School, said his hospital should be doing more, at least screening all gunshot patients for PTSD. “I think we probably should be," Yonclas said. By screening for PTSD symptoms in the hospital setting, rather than waiting for a patient to seek outpatient counseling, Yonclas says caregivers can speed the delivery of psychiatric treatment. "The longer you delay someone returning to work, returning to a normal lifestyle, the chances of them doing that are less and less." JoAnn Difede, director of the Program for Anxiety and Traumatic Stress Studies at Weill Cornell Medical College, said the Burn Center at NewYork-Presbyterian Hospital now screens its patients for PTSD. “The problem is trying to predict early on who will get better on their own, and who will develop post-traumatic stress disorder. And without screening at this point in time, there isn't really a way to do it effectively,” Difede said. PTSD cannot be diagnosed until 30 days after a trauma. But Difede said even immediately after an injury, patients can answer questions that would indicate whether they are at high risk for developing PTSD. She said it is also a good time for doctors to warn patients of symptoms, and to schedule follow-up visits for those most at risk. NewYork-Presbyterian was the hospital where Verduga was first seen after his traumatic head injury in 2003. The hospital discharge record makes no reference to PTSD. It wasn’t until seven months later that Verduga was diagnosed with PTSD by an outpatient psychiatrist. A spokeswoman for NewYork-Presbyterian would not speak about Verduga’s treatment or PTSD screening protocols a decade ago, instead emphasizing the hospital is now making strides toward screening more trauma patients. Experts say there are two main reasons many trauma centers don’t screen for PTSD. One is that doctors are only now becoming aware of just how common it is for victims of trauma to suffer from PTSD. The second is the cost. Medicaid reimbursements are minimal for PTSD screening, so a hospital must often eat the cost as charity care, experts say. "You'll hear discussions like, 'do we take a surgeon off the floor to put in a mental health person?'" said Mark Siegert, a Manhattan psychologist who specializes in PTSD and trauma. Some say the tide may be turning on early screenings for PTSD. The American College of Surgeons, which sets standards for the care of patients with traumatic injuries, is set to recommend that trauma centers "evaluate, support and treat" patients for post-traumatic stress. David Livingston, a professor of trauma surgery at Rutgers New Jersey Medical School, said any movement in that direction would be welcome. “A great save is getting someone to be alive who may have died, but the really great save is when they come back 15 years later and they've graduated college or they're married and have a kid," he said. "That's everything."